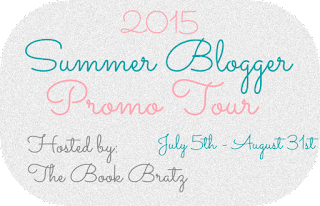 We have reached the end of the Summer Blogger Tour hosted by The Book Bratz. It was a lot of hard work and I met some great bloggers. If you missed any of the posts from this tour, click here and see all the bloggers I've hosted. The Good: One piece of advice I always give to other bloggers is to talk and collaborate with each other. 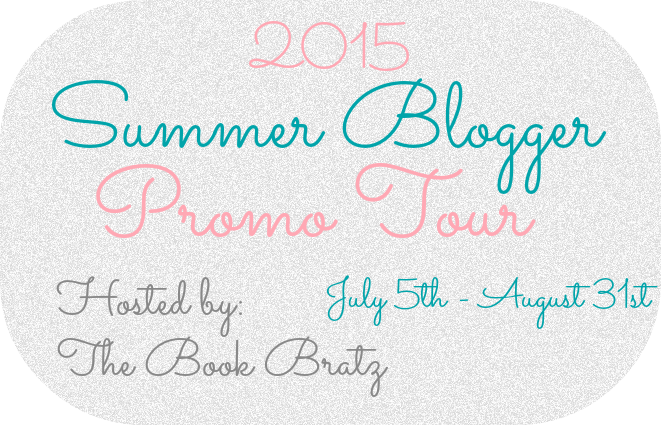 The Summer Blogger Promo Tour was the perfect opportunity to do that. 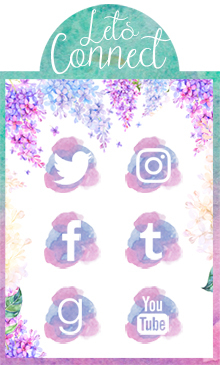 You are grouped with bloggers who all want to talk to other bookish people and make collaborated posts to showcase your love of books. I recommend joining this tour in the future if you are a new blogger and want to become more involved in the book blogging community. I've made some great friends during SBPT15 and not all of them are even in my group. Even though the tour is over now, I know that we will stay in contact and continue our wonderful book discussions! The Bad: I had one main problem on this tour with the same people that seemed to happen (and not just to me) repeatedly. Everyone has experienced being involved in group projects in school. Sometimes there are people who are very diligent and responsible, and then you have the slackers who don't contribute, even though you remind them over and over again. Then at the very last minute (after weeks of trying to get in contact with them), you'll finally their work and it's sloppy, but nothing can be done to fix it because it's too late so you just have to roll with it. This happened to me on several occasions. I will never understand why people like this join these type of projects if they aren't going to put all of their effort into it. I think that it would have been better if there were deadlines for when a post had to be turned in, and maybe that would have helped. The Overall: That being said, I'm glad that I took part in this tour. I got to meet some great people and come up with some fun posts. Some of my favorites were Bookish Pet Peeves and Annoying Things Non-Readers Say. I met some great people and that's what makes all of this work worth it. Now it's time to say goodbye. Thank you Amber and Jessica of The Book Bratz for creating and hosting this! Guys, be sure to check out all of the fun posts from this tour. You can find them on Twitter by searching the hashtag #SBPT15. To check out specifically mine, click here. It seems like this event was a success! Unfortunately there will always be people who are totally last minute and hard to work with, but I'm glad you liked the event overall. And yay for new blogging friends!! I think this feature is a great idea and unfortunately I had just had this problem over and over again. That's how it goes though, I think we've all at one point dealt with that.